TotalPond's Floating Lily Pads (3-pack) add a splash of color to your pond. These lilies are always in season and never wilt. Available at The Home Depot. 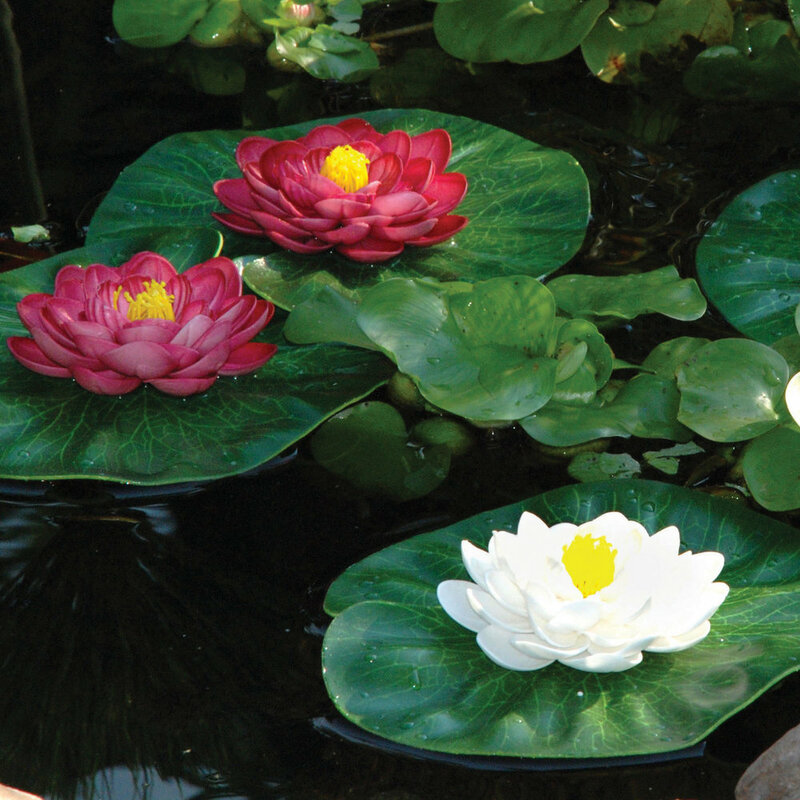 TotalPond's Floating Lily Pads add a splash of color to your pond. These lilies are always in season and never wilt. Buy this 3-pack for larger ponds or fountains and float them for a festive ambiance. These are ideal as a "first flower" when a pond is new and plants haven't arrived or during the spring season. The Floating Lily Pad Variety pack adds beauty to your pond by providing a realistic decorative touch. The variety pack includes 3 vibrant artificial lilies; 1 large and 2 small. The lily pads are ideal for everyday use in your water feature.